Sites that appeared to be grass-roots support for retailer revealed to be backed by Edelman employees. NEW YORK (CNNMoney.com) -- A public relations firm has revealed that it is behind two blogs that previously appeared to be created by independent supporters of Wal-Mart. The blogs Working Families for Wal-mart and subsidiary site Paid Critics are written by three employees of PR firm Edelman, for whom Wal-Mart is a paid client, according to information posted on the sites Thursday. Before Thursday, the authors of the blogs were not disclosed. But Web critics had been skeptical of claims that the blogs were grass-roots efforts, and pushed for greater transparency. "In response to comments and emails, we've added author bylines to blog posts here at forwalmart.com," said a recent post to the site. Recent entries on Working Families for Wal-Mart are now attributed to "Miranda," and a click reveals that this is Miranda Gill, an Edelman employee. Recent entries on Paid Critics, a site dedicated to drawing links between Wal-mart critics and groups, such as unions, with vested interests are written by Brian and Kate. These are Edelman employees Brian McNeill and Kate Marshall. Last week a blog called "Wal-Marting Across America," which appeared to be created by a man and a woman traveling the country in an RV and staying in Wal-Mart parking lots, also turned out to be underwritten by Working Families for Wal-Mart. 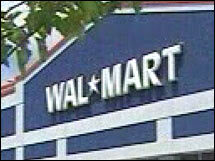 Shares of Wal-Mart (up $0.93 to $49.42, Charts) rose 1.5 percent on the New York Stock Exchange Friday. Major corporations such as Sun Microsystems (Charts) and General Motors (Charts) have begun using blogs in recent years, although the practice is still relatively rare.